VANCOUVER—Canada’s innovation performance has declined in recent years and is falling further behind the U.S. and other developed countries, despite decades of costly innovation programs by successive federal governments, finds a new study released today by the Fraser Institute, an independent, non-partisan Canadian public policy think-tank. 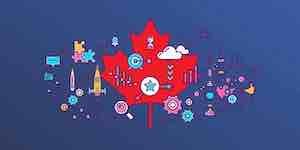 In fact, the current federal government allocated a staggering $8.2 billion to various innovation programs in its 2017 budget to encourage venture capital investment and create innovation superclusters, among other things. “Canada’s relatively poor innovation performance over a rather long period of time suggests that these government-dominated, top-down programs don’t work,” said Steven Globerman, Fraser Institute resident scholar, professor emeritus at Western Washington University and co-author of Innovation in Canada: An Assessment of Recent Experience.